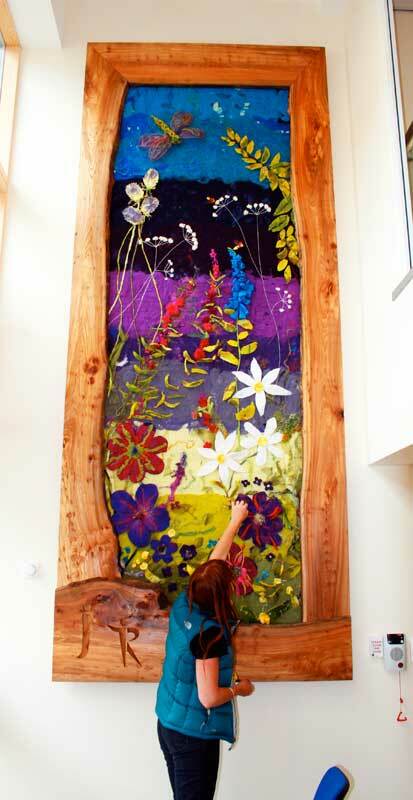 I have had residencies and workshops in many schools across the North West. 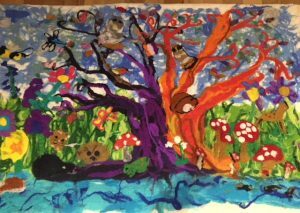 We have produced various sized wall hangings and individual pieces which reflect the children’s environment or a particular event. 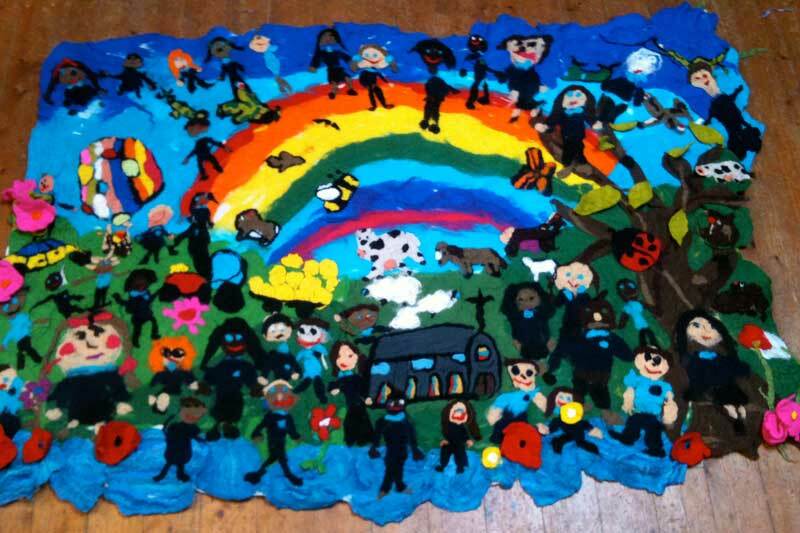 The children work either independently or collaboratively depending on age and ability to each produce one element of the feltwork – these are then combined to create the final piece. Workshops are generally 1.5 hours per class (up to 25 children) and I am happy to work for one to three days depending on the size of your school. 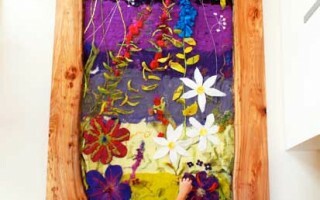 Children of all ages (Nursery to A level) and abilities will learn the wet felting process which is a heritage craft ,including history, sustainability of the materials and how it is worked and assembled. I have ran workshops for both GCSE and A level art. I also run CPD workshops for staff. 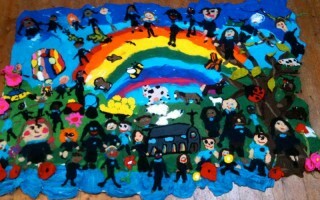 All the children I have worked with have thoroughly enjoyed the whole process, as have their teachers! If you would like me to come to your school to discuss a project, please let me know.